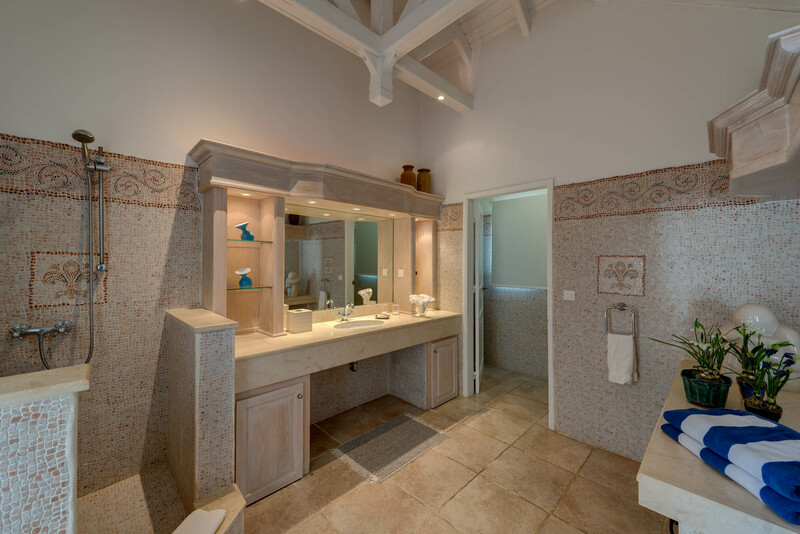 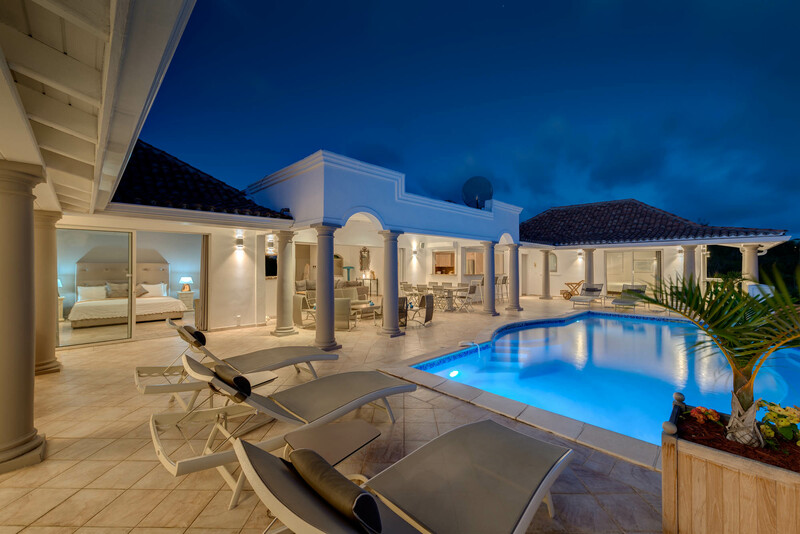 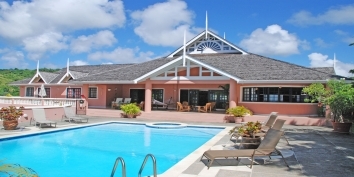 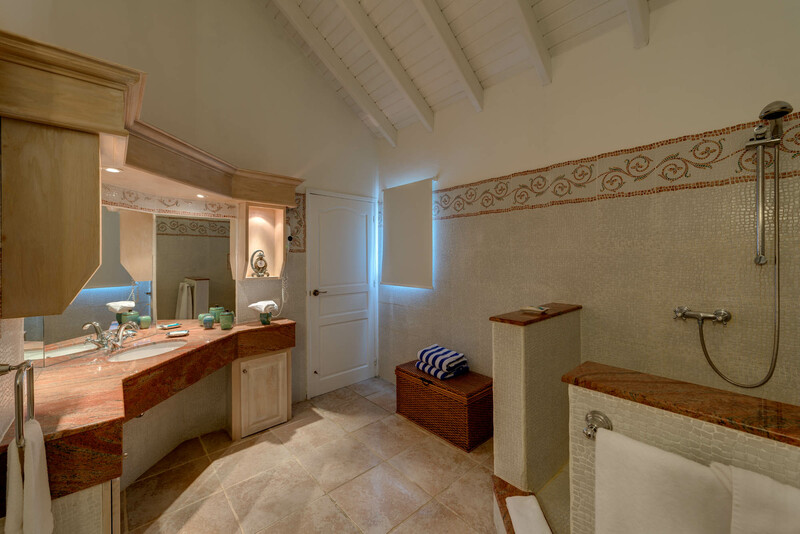 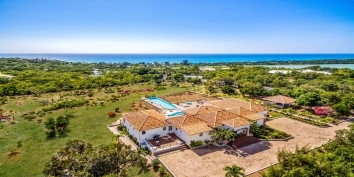 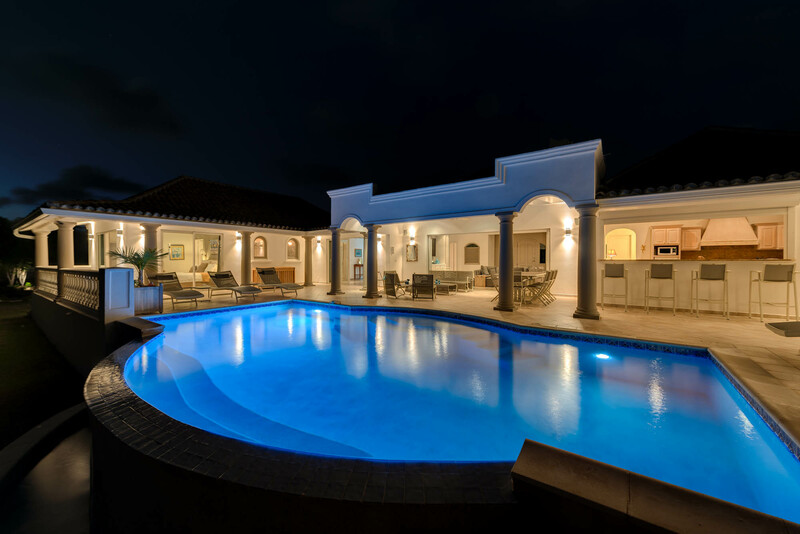 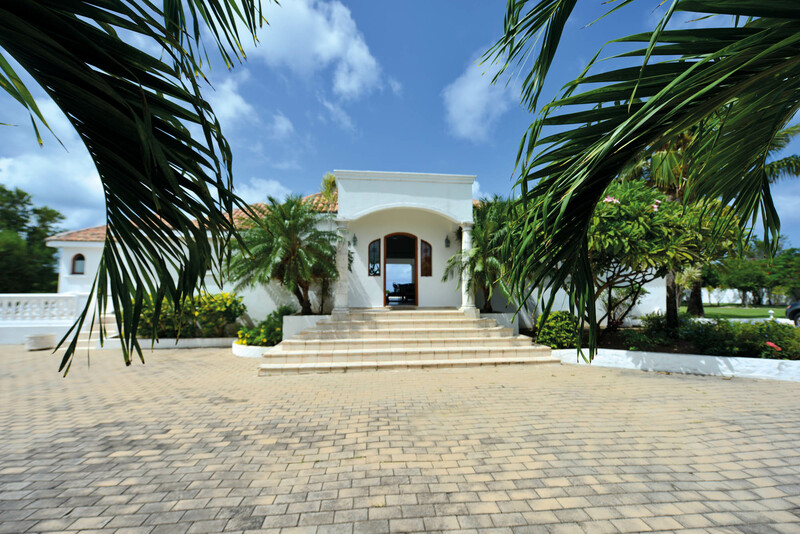 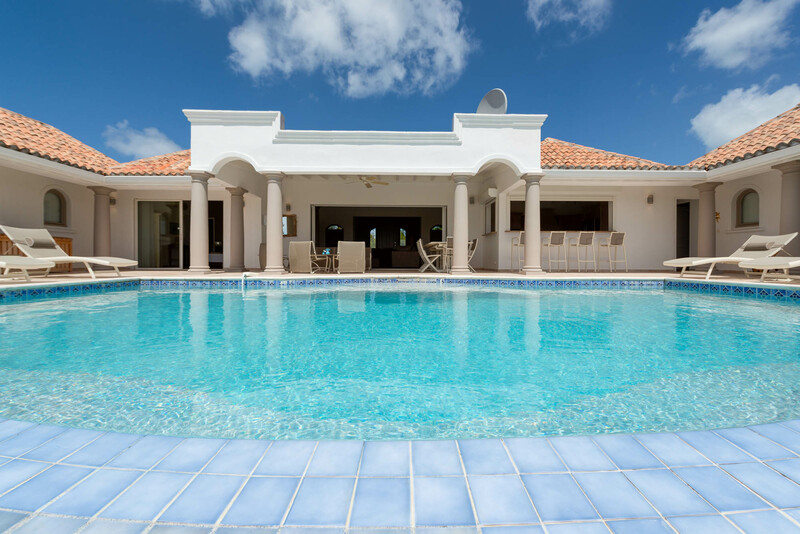 A very private and beautiful villa with 4 bedrooms, 4 bathrooms, 2 swimming pools and views of the Caribbean Sea. 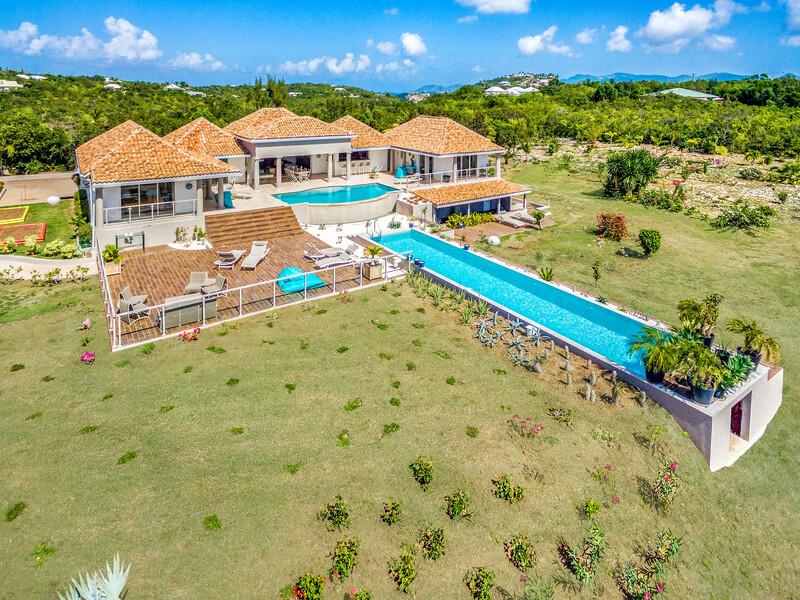 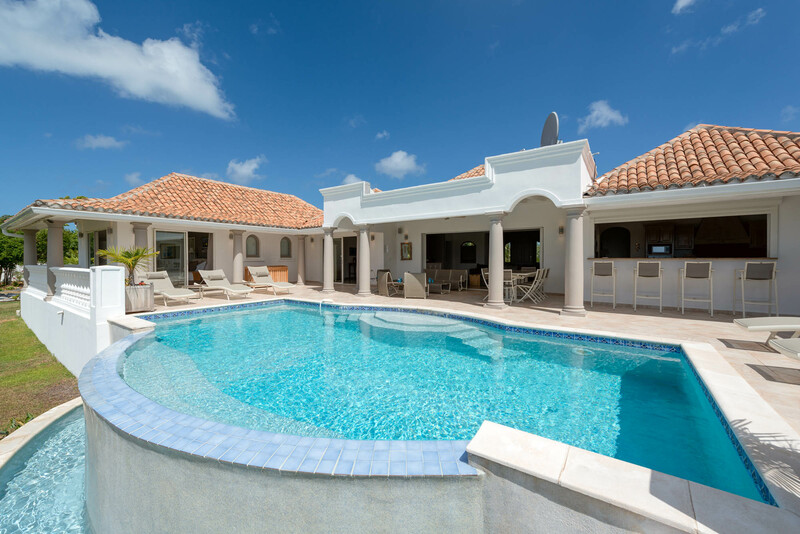 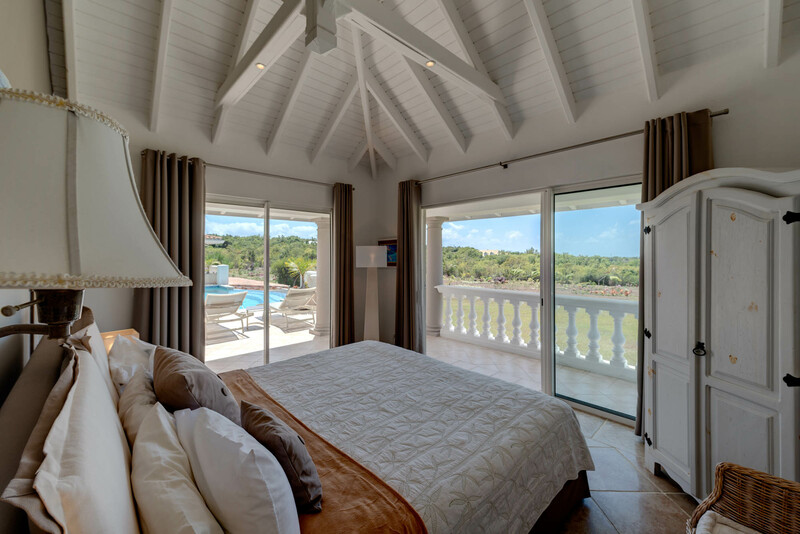 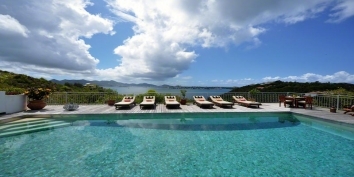 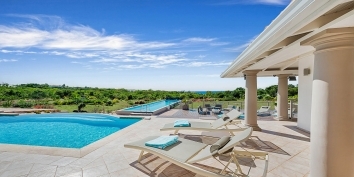 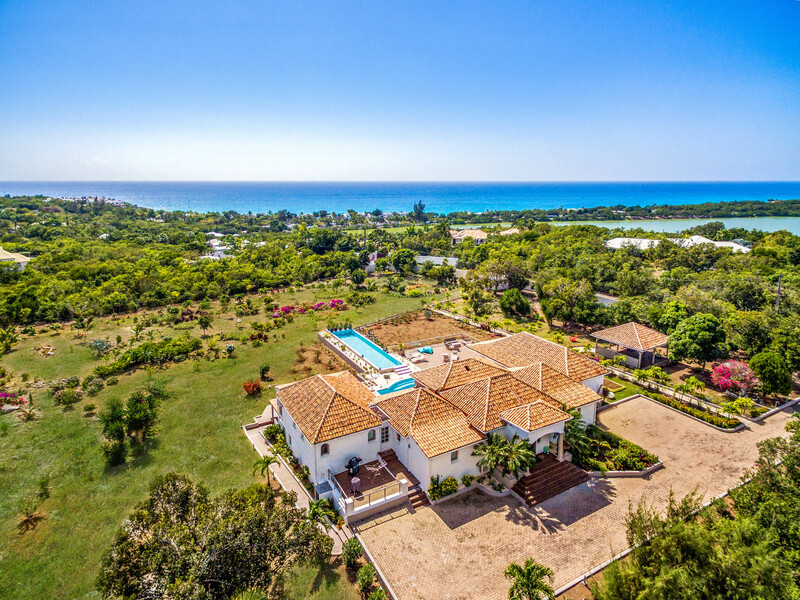 La Bastide, Baie Longue, Terres-Basses, Saint Martin, is a recently renovated and refurnished villa with 4 master bedroom suites, each with private bathroom, two generously sized swimming pools and beautiful views of the Caribbean Sea. 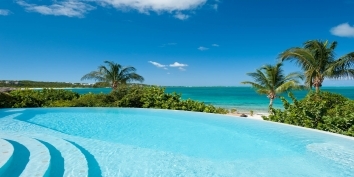 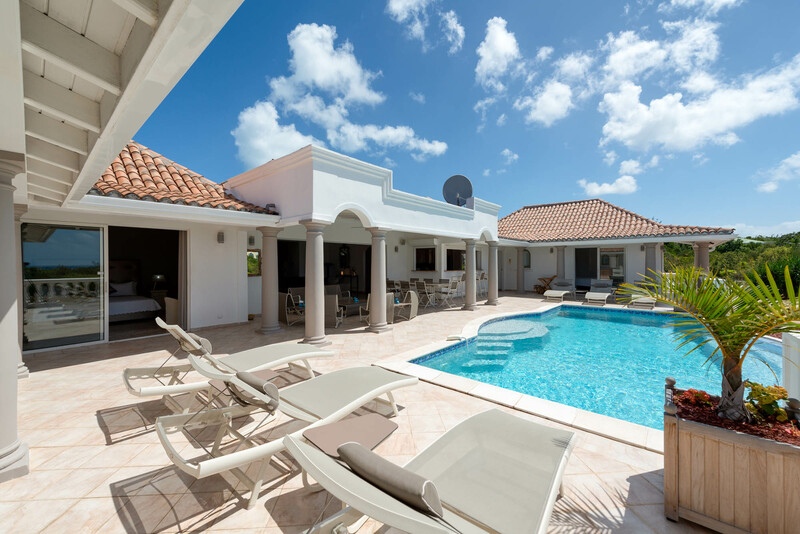 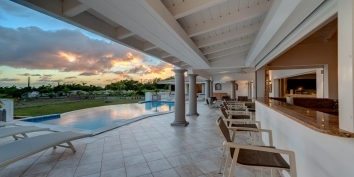 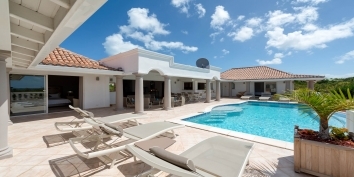 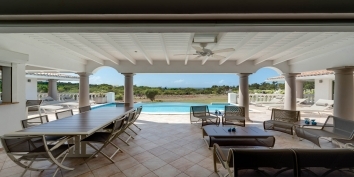 This very private Saint Martin holiday villa rental is accessed through an electric iron gate and a paved drive-way. 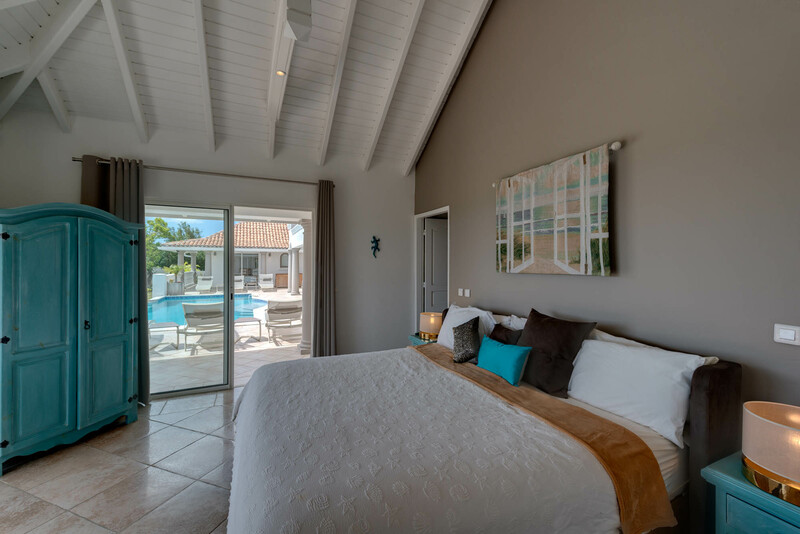 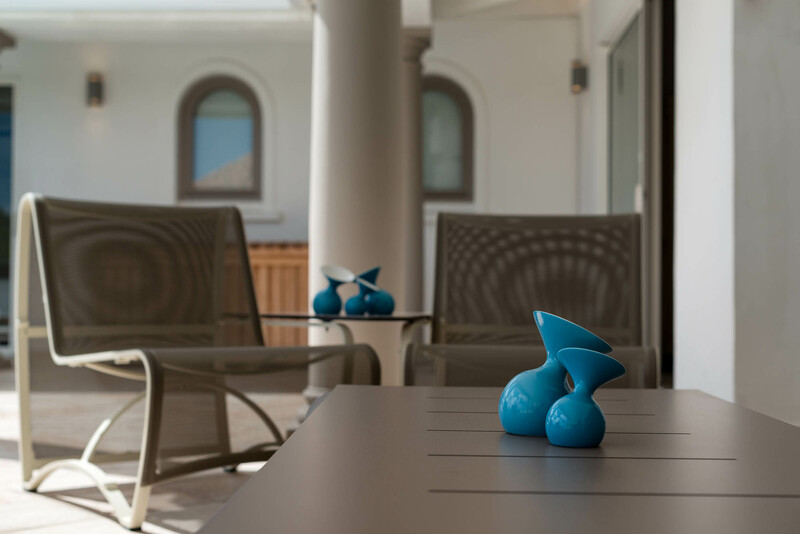 La Bastide has a comfortable living area which opens onto the terrace and a large gourmet kitchen that looks over the swimming pool. 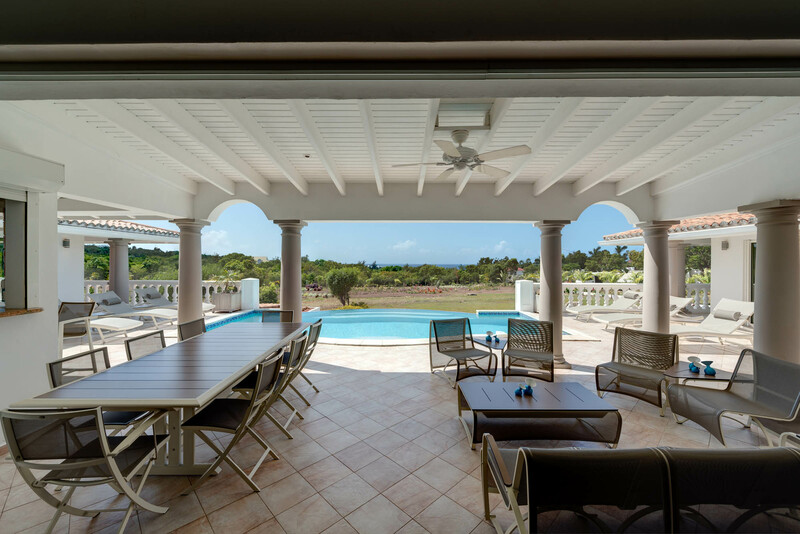 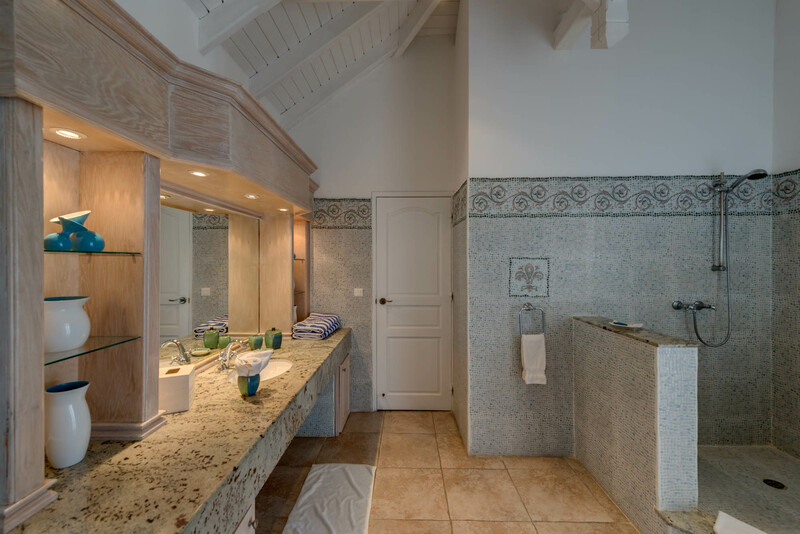 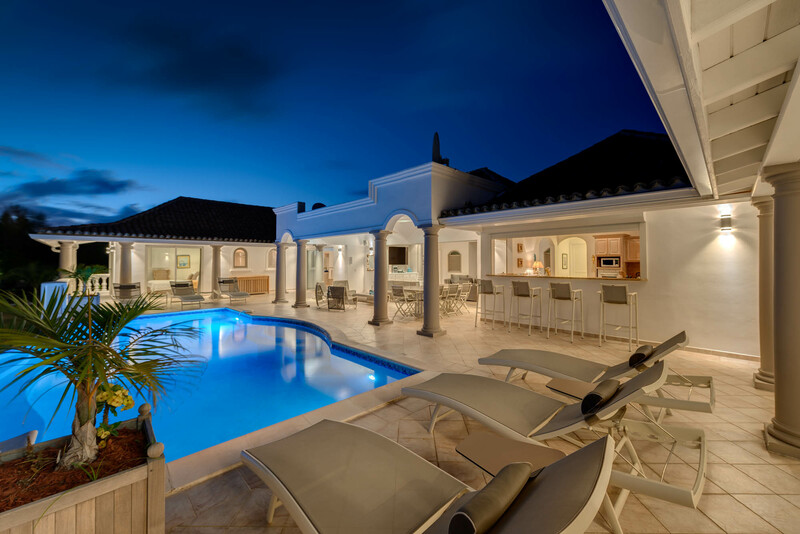 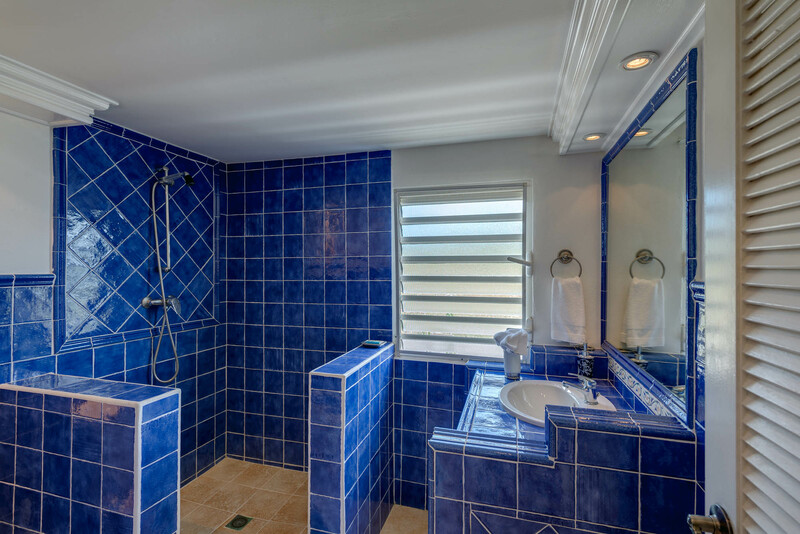 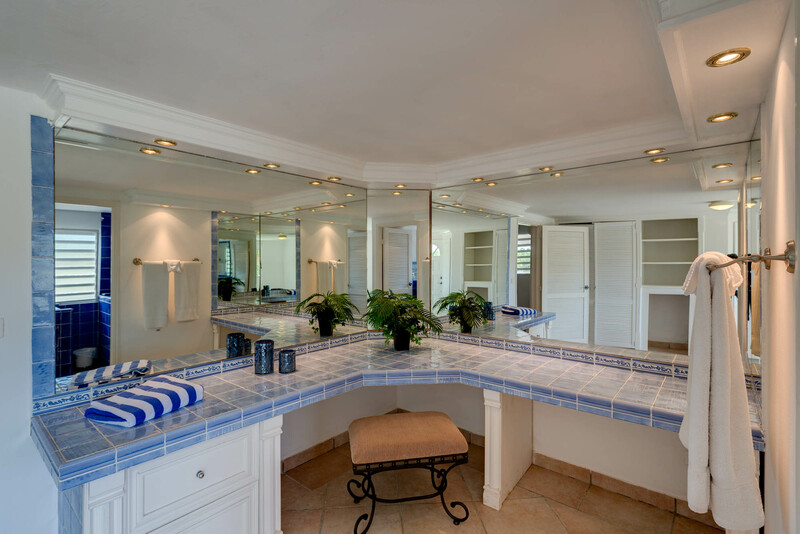 This St. Martin villa rental has contemporary furnishings and beautiful travertine flooring throughout. 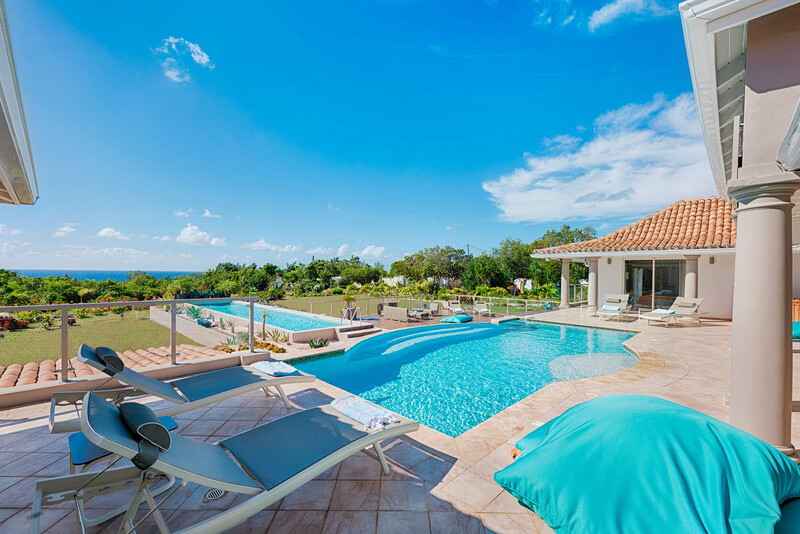 La Bastide has two beautiful swimming pools, one of the swimming pools has an infinity edge and is also perfect for lap swimming. There are spacious decks and terraces for soaking up the Caribbean sun or relaxing in the shade while on vacation in Saint Martin. 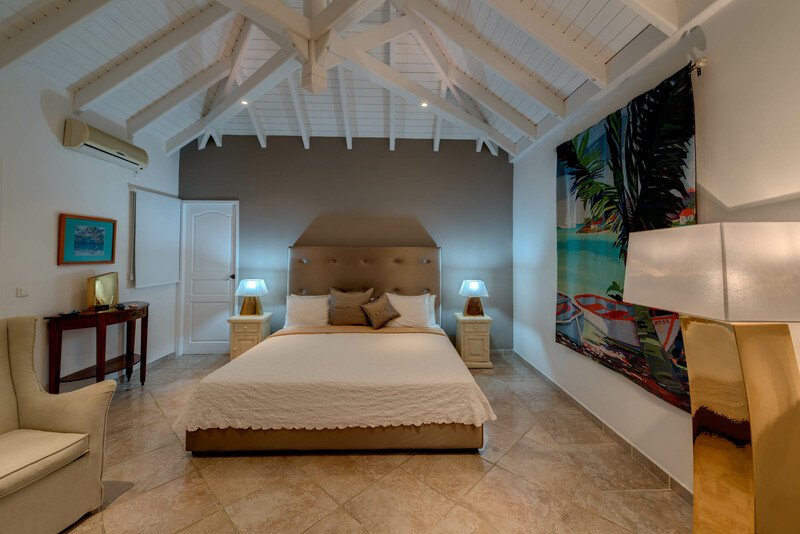 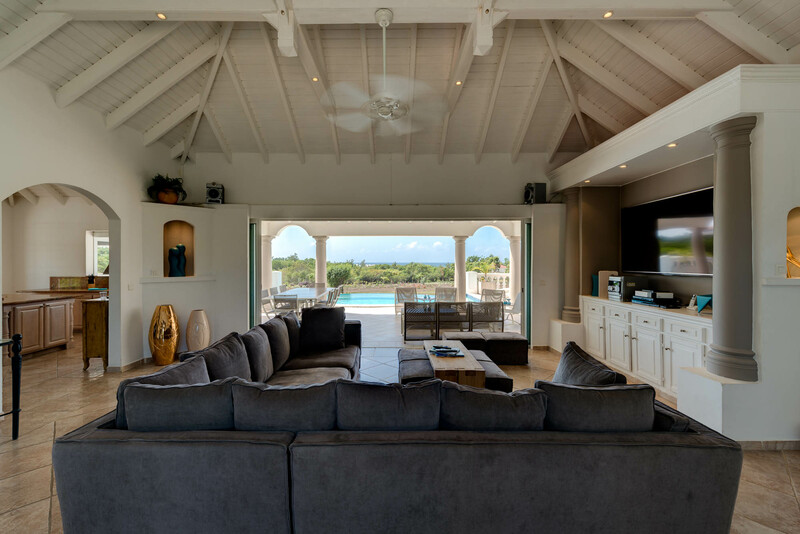 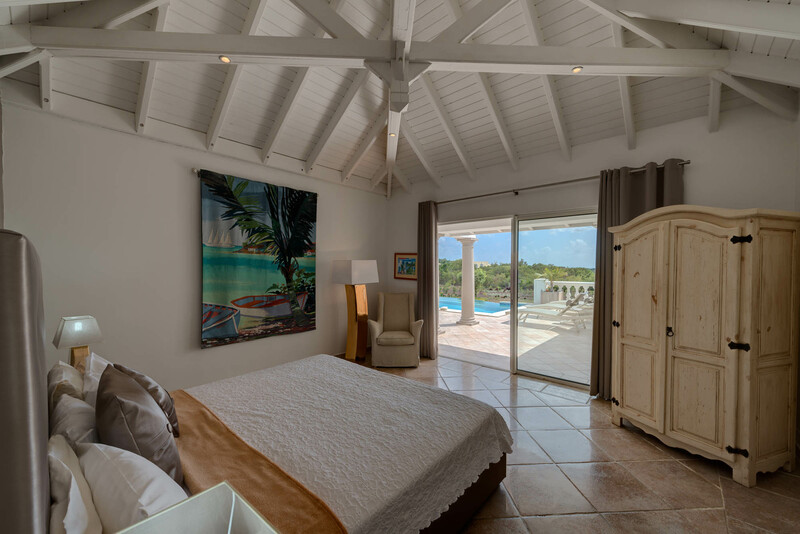 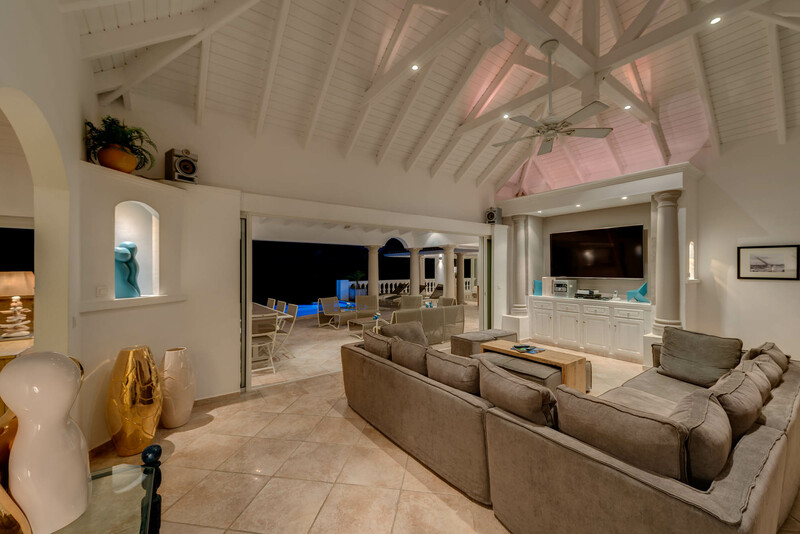 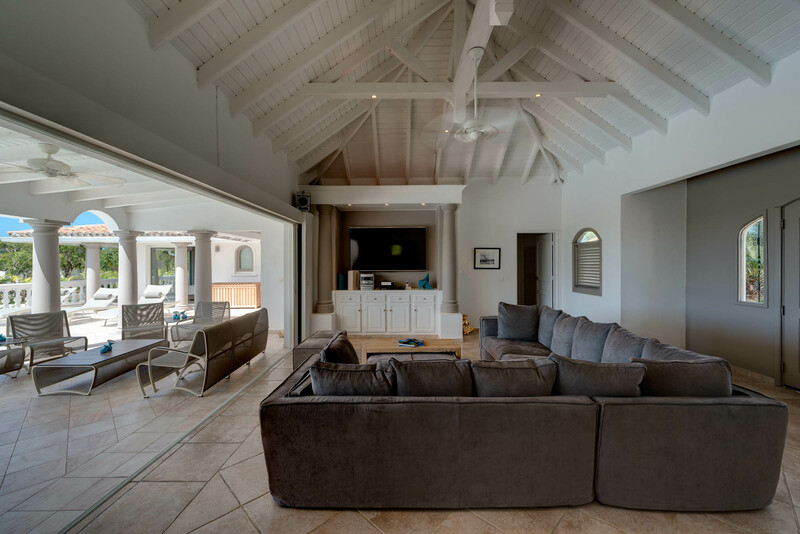 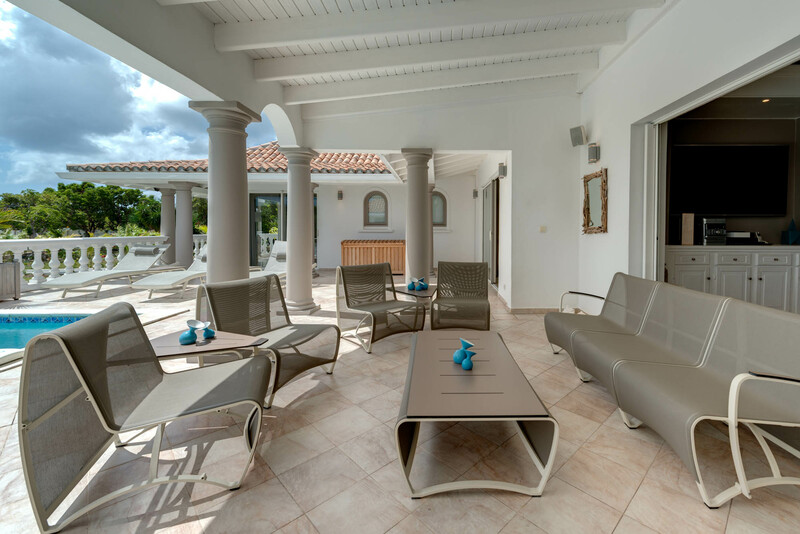 The living room of this Caribbean holiday villa opens directly onto the pool terrace, is tastefully decorated with contemporary decor and features satelite TV, DVD player and stereo system. 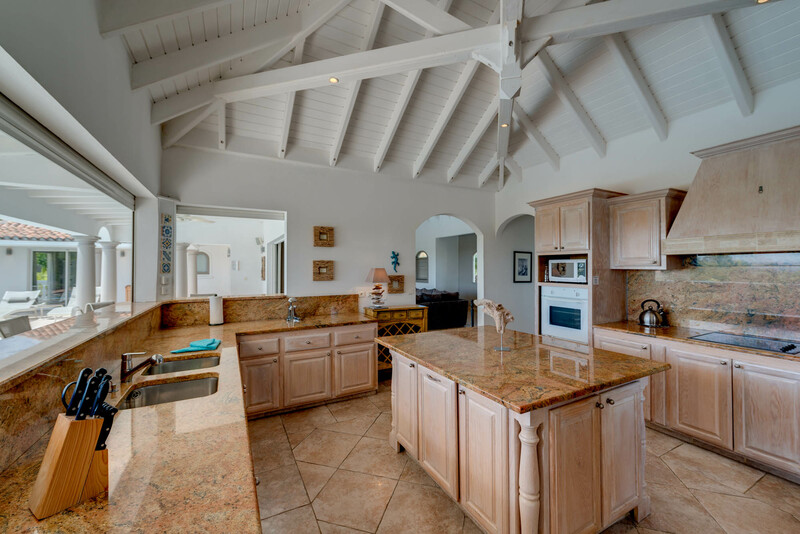 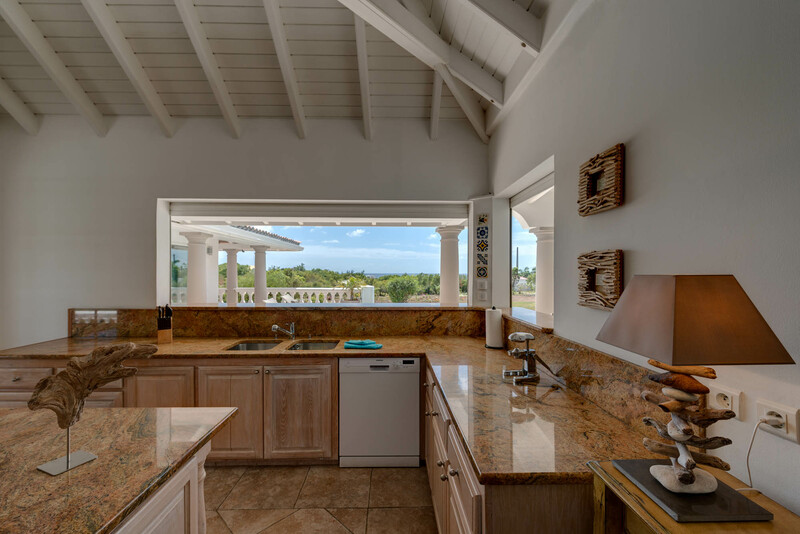 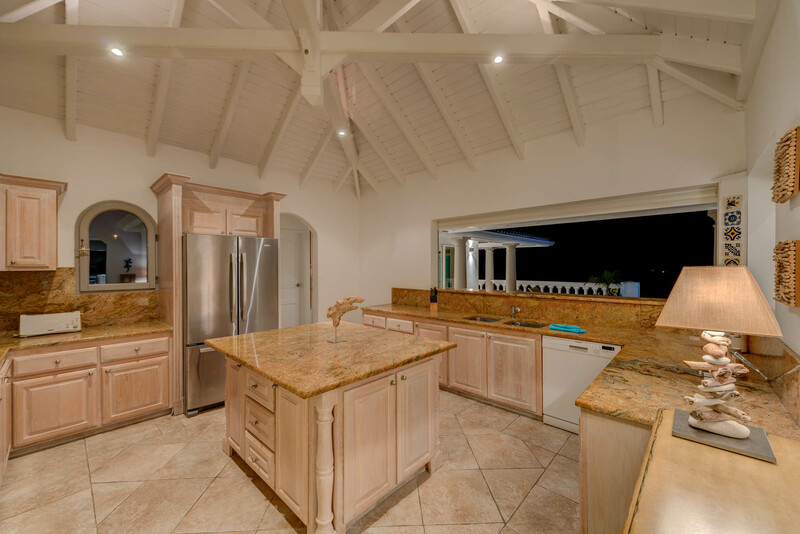 The large, gourmet kitchen is fully equipped with everything you may need while on vacation in Saint Martin and also overlooks the pool area. 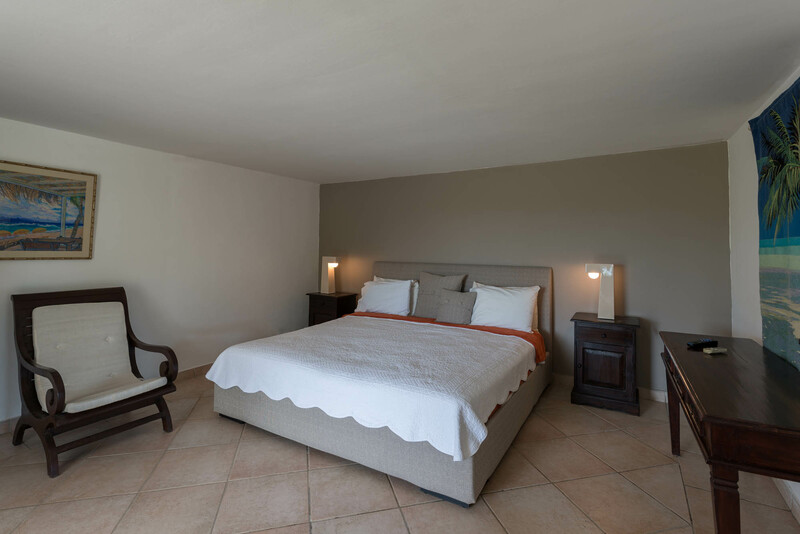 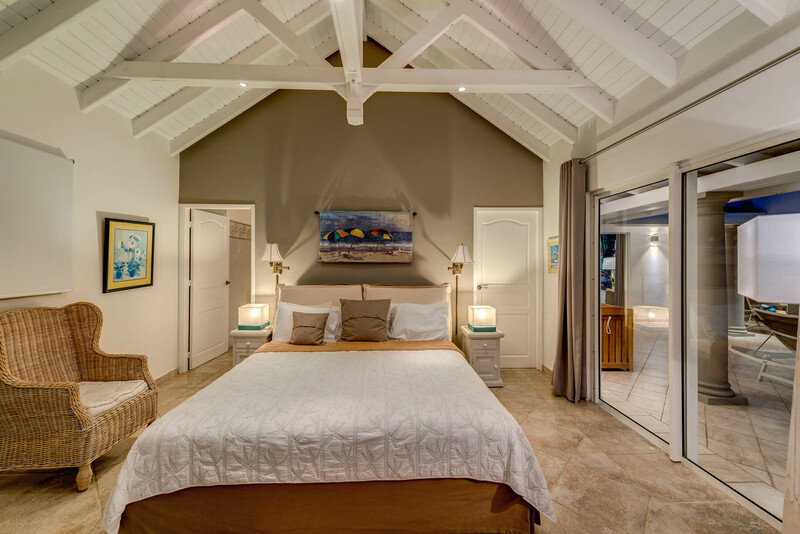 All four beautifully decorated bedrooms at La Bastide feature king size beds, private bathrooms with showers, air conditioning, ceiling fans, plasma TV and DVD. 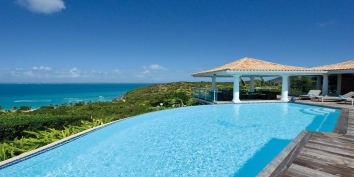 To beach: 3 minutes drive. 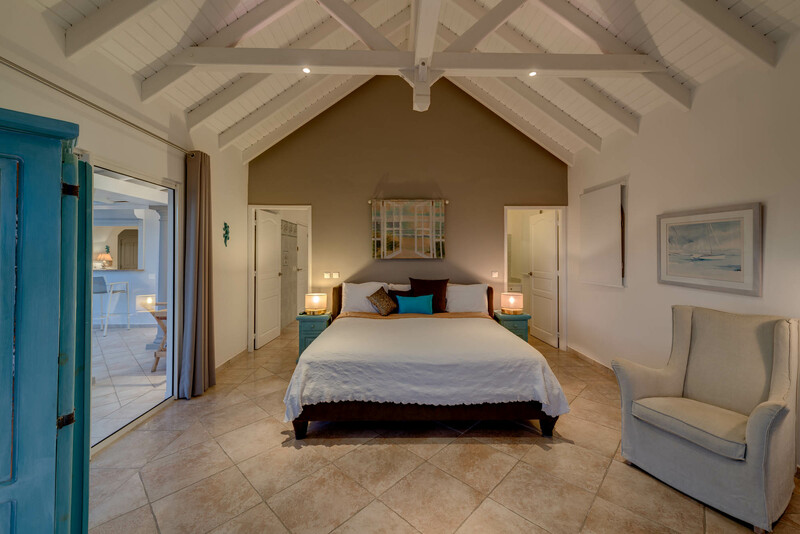 STAY 7 NIGHTS FOR THE PRICE OF 6 NIGHTS! 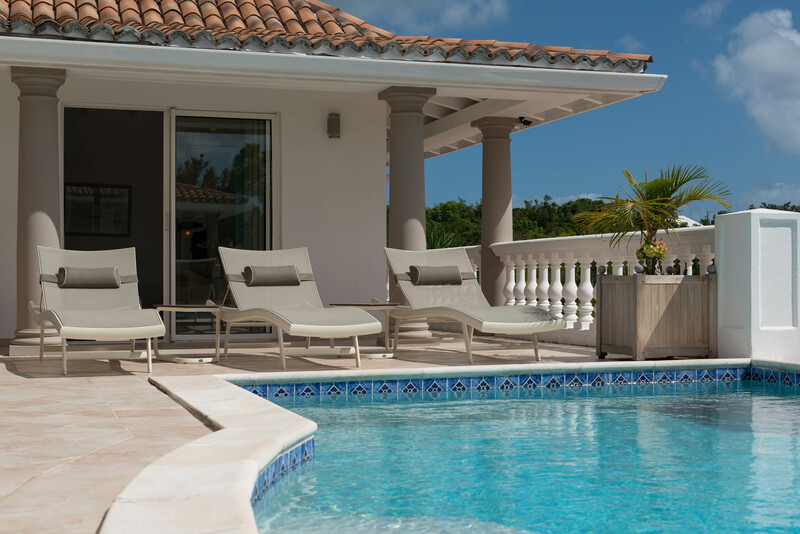 This special offer is applicable to all new reservations made from February 6, 2017 for travel dates between February 6, 2017 and April 15, 2017. 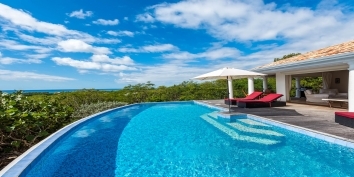 This special offer cannot be combined with any other discount or promotion. 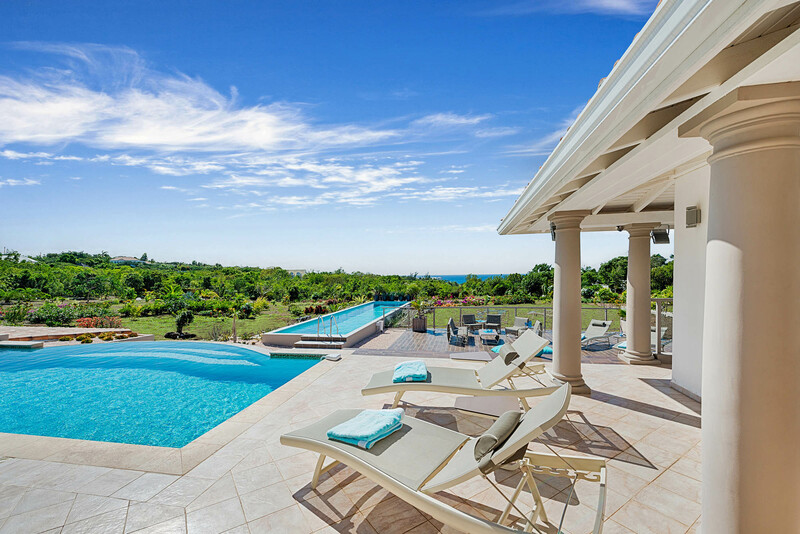 Not available for reservations already made. 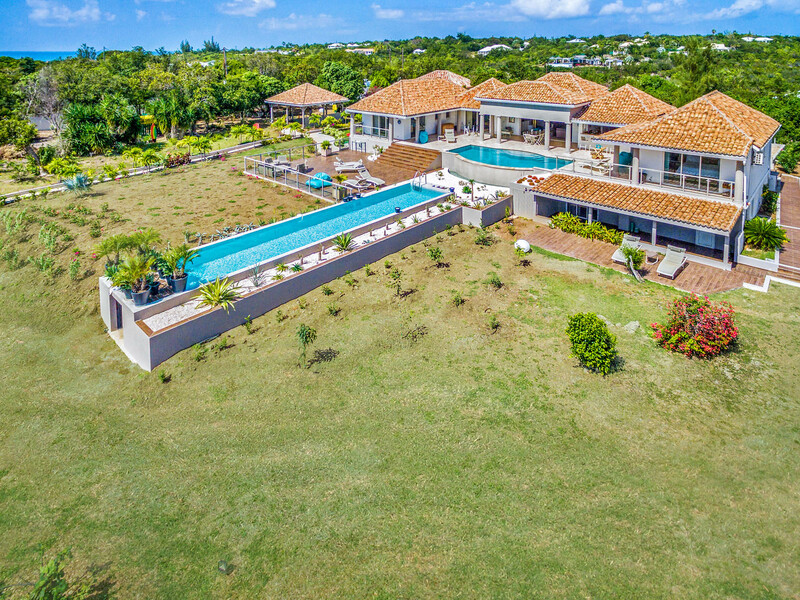 Google map showing the approximate location of La Bastide, Baie Longue, Terres-Basses, Saint Martin.